Lopburi is 153km North of Bangkok, 524km from Amnat Charoen, 40km from Ang Thong, 98km from Ayutthaya, 349km from Buriram, 85km from Chainat, 243km from Chaiyaphum, 579km from Chiang Mai,542km from Chiang Rai, 458km from Kalasin, 247km from Kamphaeng Phet, 493km from Khon Kaen, 327km from Korat, 489km from Lampang, 558km from Lamphun, 441km from Loei, 814km from Mae Hong Son, 414km from Maha Sarakham, 679km from Mukdahan, 679km from Nakhon Phanom, 130km from Nakhon Sawan, 554km from Nan, 319km from Nong Bua Lamphu, 614km from Nong Khai, 557km from Phayao, 251km from Phetchabun, 243km from Phichit, 259km from Phitsanulok, 437km from Phrae, 434km from Roi Et, 586km from Sakon Nakhon, 46km from Saraburi, 33km from Singburi, 510km from Sisaket, 188km from Sukhothai, 396km from Surin, 315km from Tak, 697km from Ubon Ratchathani, 503km from Udon Thani, 111km from Uthai Thani, 377km from Uttaradit and 470km from Yasothon, you can get there by train or coach, not really a major tourist destination just a stopping off point in your journey to somewhere else. From Bangkok you can get to Lopburi by van from Victory Monument, bus from Mo Chit or train from Hua Lamphong, or of course you could rent a car and drive yourself. Lopburi Province shares borders with Phetchabun, Chaiyaphum, Nakhon Ratchasima, Saraburi, Phra Nakhon Si Ayutthaya, Ang Thong, Sing Buri and Nakhon Sawan. Learn more about Lopburi or ask your Lopburi questions in our Central Thailand & Lopburi Forum. An ancient Temple where the monkeys are allowed to roam free and be fed by tourists and locals, please remember that these are wild animals and can be considered dangerous as happened here. Open Wednesdays to Sundays and has a 30baht admission fee. Location: Soi 24 Sai Tri, Mo 9 Phatthana Nikhom District, Lop Buri 15220 The center distributes information and knowledge on Bee cultivation in Thailand. It is also a place where natural bees products including royal jelly, honey (from sunflower, natural honey extracts, etc.) and other honey-related products are on sale. Location: 85/2 Mu 13 Chong Sarika Sub-District, Phatthana Nikhom District, Lop Buri 15220 An agro-tourism farm covering an area of 50 rai, Oasis Agro-Farm was established in 2001 to raise imported ostriches from South Africa. The farm is divided into different zones including a butterfly farm, an ostrich ranch, a sunflower plantation, etc. Visitors can enjoy hand-feeding the ostriches and driving a mini-tractor along the sunflower plantation. Admission fee is 10 bahts/person. For more information, contact Mr. Somchat Singhapol at 01 7808928 or 01 9941256 or you can visit www.oasisfarm.net to get a glimpse of the farm. Amusing journey by bus from Lopburi to Salaburi. 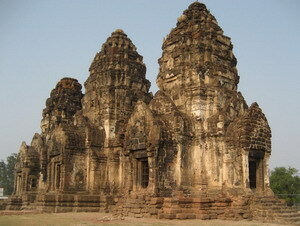 Bangkok to Lopburi by train, a stay at Nett Hotel and a tour of the ancient ruins in Lopburi. A stay at the Asia Hotel, and a tour round Lopburi including King Narai the Greats Palace. 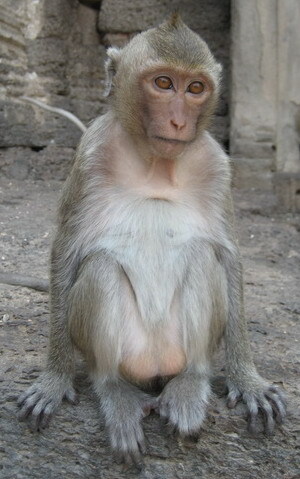 Every year Lopburi holds a Monkey Banquet, this is to feed the monkeys, more can be read about it here and here. 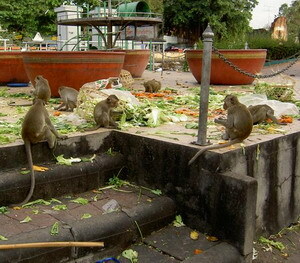 More than 2,000 monkeys enjoy a vegetable and fruit banquet at Lopburi's Prang Sam Yod and Phra Kan Shrine. Belgium owned Steak house near Tesco Lotus in the town center of Lopburi. 130/1 Mu 3, Chaloem Phrakiat Road, Amphoe Mueang, Lop Buri. Has been serving Thai and Chinese meals for more than 20 years. Situated at the Lopburi Inn and serving Thai, Chinese, and International foods. Of course we can't forget to mention KFC and Mister Donut are also in Lopburi. Rooms rates from 200baht per night. Room rates from 1,000baht +++ per night. The nearest National parks are in Saraburi. The main area of Namtok Chet Sao Noi National Park is ruggedly mountainous alternating with the plateaus. The area is rather dry with the shallow soil surface, height above sea level is 180-402 m. The highest peak of the area is on the Chokchai Phatthana with 402 m above sea level, next is the mountain range which is in the central of the area and Ban Dong Namcha mountain range 386, 359 m above sea level following. The foothills are on the East and the North side, which are near Khlong Muak Lek, there is a stream which flows all year round and a tributary to Pasak river at Wang Muang district while the central area with stream flow through is Huai Laeng which has water in the stream bed only in the rainy season. This area consists of many big and small mountains and plains in the valley. The highest peak is Khrok Mountain, about 329 meters above sea level. Tourist on the peak can see Saraburi Province’s city and nearby districts very clearly. The forest of this area is the source of many waterfalls and streams, These help to maintain plantations for the local people. The surface of this area is clay and sandy soil which covers hard soil and rock beneath.